This Artcome functional glass jug is a stylish, modern design. It pours very easily with no dripping. 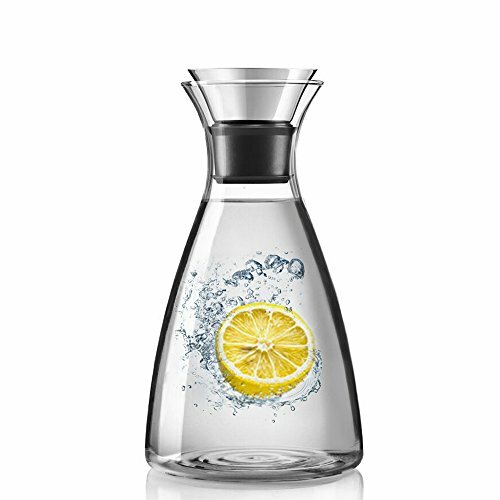 It can be used for many types of beverages from water, iced tea and fruit infused juices to decanting and serving wine. 2-Year Limited Warranty. If you're not completely satisfied simply let us know and we will offer a prompt refund or replacement, no questions asked. If you have any questions about this product by Artcome, contact us by completing and submitting the form below. If you are looking for a specif part number, please include it with your message.